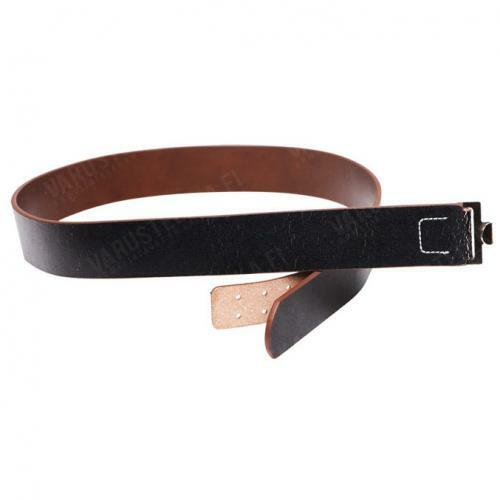 A reproduction of the Wehrmacht leather service belt. Made of fake leather, probably because cost issues. Buckle not included! Width 45 mm, just a bit short of 2 inches. Achtung! 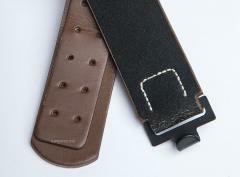 The distance between the pins of some buckles might vary a bit, thus they might require some fitting. The sizes shown are the maximum lengths of each size. 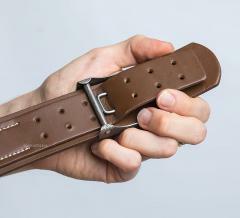 Can be adjusted about 18 cm smaller than the given size, for example the adjustment range of size 110 cm belt is 92-110 cm. Factory new reproduction, made by Mil-Tec. As mentioned, the buckle is not included, and must be bought separately.